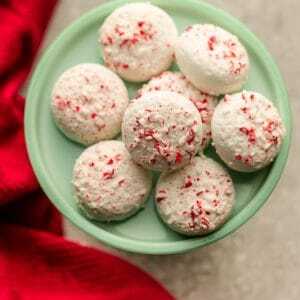 Peppermint Covered Oreos are the perfect festive and easy treat for the holidays. Best of all, easy to customize with gluten-free, vanilla or chocolate Oreo sandwich cookies and coated in melted chocolate and crushed candy canes. Melt chocolate and coconut oil in the microwave or on the stovetop. Once melted, remove from heat. Dip Oreos in melted chocolate and crushed candy canes. Let cool completely.